Am thinking by now you must have backed up your apple devices, and if you have back up your iPhone, iPad, or iPod touch, you’ll have a duplicate of your information to use in case your device is ever replaced, lost, or damaged. Before you begin, choose a backup method that suit you the most. It is therefore advisable to be familiar with the difference between iCloud and iTunes backups before you ever think of backing up your devices, after that you can then select the methods that suit you. If you need an alternative backup, you can make one in iCloud and another in iTunes. 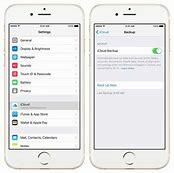 follow these these steps on how to back up with iCloud services. Click on Settings > [your name], and click iCloud. If you’re using iOS 10.2 or earlier, go to Settings, then scroll down and tap iCloud. Click iCloud Backup. If you’re using iOS 10.2 or earlier, tap Backup. Make sure that iCloud Backup is turned on. Click on Backup Now. Stay connected to your Wi-Fi network until the process completes. You can check the progress and confirm the backup completed. click on Settings > [your name] > iCloud > iCloud Backup. Under Back Up Now, you’ll see the date and time of your last backup. Confirm that you have enough available space in iCloud for the backup. When you sign in to iCloud, you get 5GB of iCloud storage for free. In the case that you need more iCloud storage, you can buy more from your iPhone, iPad, iPod touch, or Mac. To backup using iTunes, open iTunes and connect your device to your computer. If a message asks for your device password or to Trust This Computer, follow the onscreen steps. If you forgot your password, get help here. If you want to save Health and Activity data from your iOS device or Apple Watch, you need to encrypt your backup: Select the box called Encrypt [device] backup and create a password you can remember easily. If you don’t need to save your Health and Activity data, you can make a backup that isn’t encrypted. Just click Back Up Now. Make sure you keep your password handy and store it somewhere safe, because there’s no way to recover your iTunes backups without this password. When the process ends, you can see if the backup finished successfully on the Summary screen in iTunes. Just look under Latest Backup to find the date and time. congratulations enjoy your device. ← Did you forgot the password for your iPhone, iPad, or iPod touch and your locked out ? here is what to do.